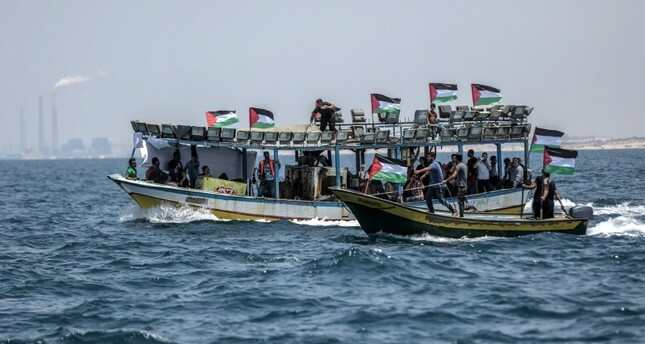 Qatar and Israel have agreed to establish a sea crossing between the Gaza Strip and the island of Cyprus, a report said Saturday. According to Lebanese newspaper Al-Akhbar, the agreement is part of the Egyptian-backed peace talks between Tel Aviv and Palestinian resistance movement Hamas, which governs Gaza. International inspectors and Israeli security forces would reportedly monitor the route. Hamas is also insisting on video surveillance, the report added. In the report carried by major Israeli media outlets, Al-Akhbar said negotiations are ongoing. On Friday, Palestinian civil servants in the Israeli-blockaded Gaza began collecting long-awaited salaries after receiving $15 million from Qatar, as part of efforts to ease tensions in and around the impoverished territory. Qatar has also said it would hand out $100 to each of 50,000 poor families, as well as larger sums to Palestinians wounded in clashes along Gaza's border with Israel.